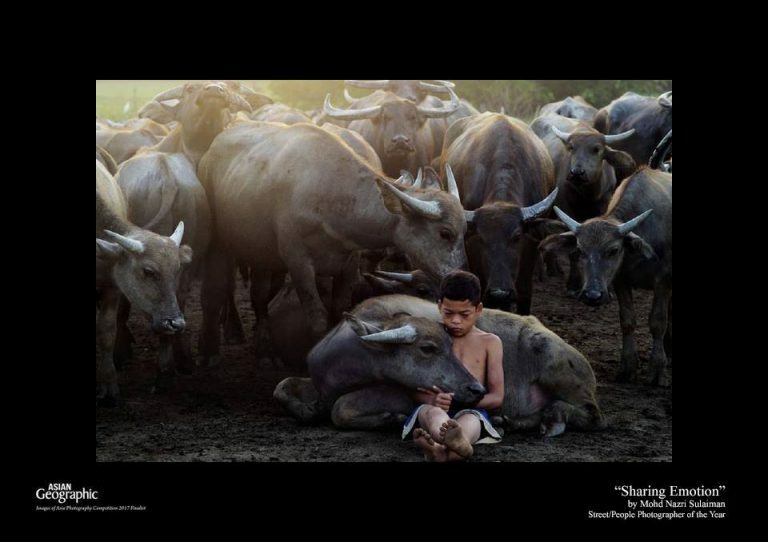 14-year-old Malaysian Mohd Syukur Khamis never thought the everyday sight of him playing with the buffaloes that his father raises would win the heart of the judges from prestigious international photo awards. 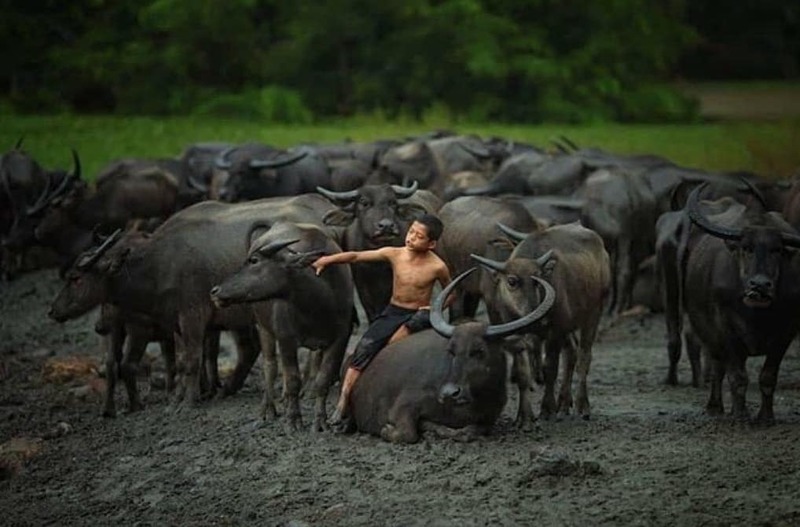 Pictures of him playing with the buffaloes have caught the attention of the judges at the prestigious 2018 Asian Geographic – Image of Asia which led to the pictures winning the Street/People Photographer of the Year award. 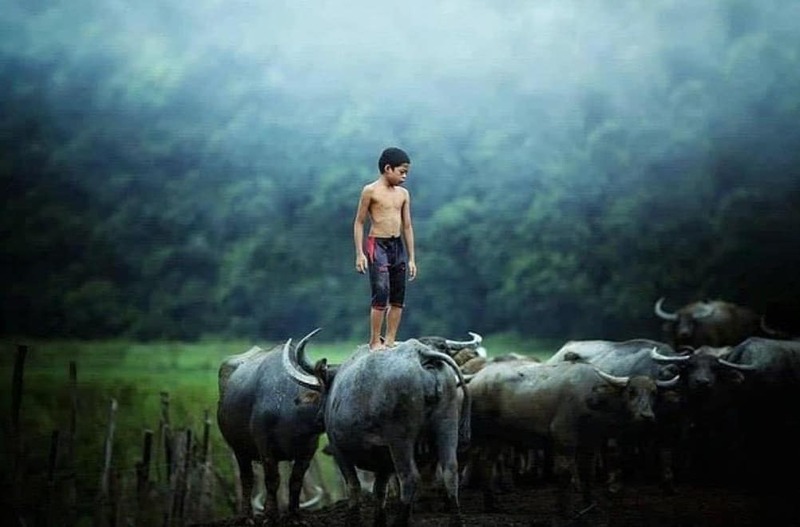 According to Mohd Syukur, he has been following his father, Khamis Jusoh to their buffalo pen near their home in Kampung Kubang Bujuk since he was only four years old. 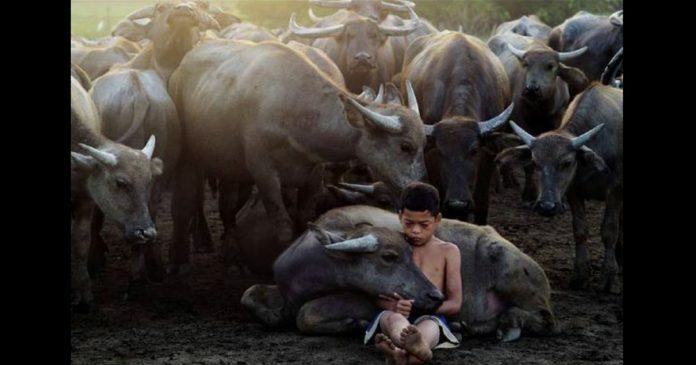 In the award-winning pictures of him and the buffaloes, it is apparent that the boy and the animals have formed a genuine love and friendship between them. 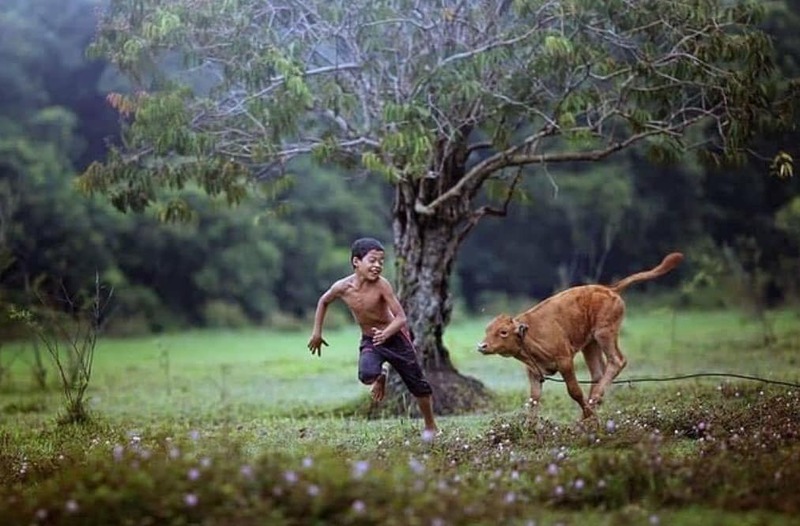 “I am not just good with buffaloes, I am also close to the cows, goats and geese that my father rears,” he said. 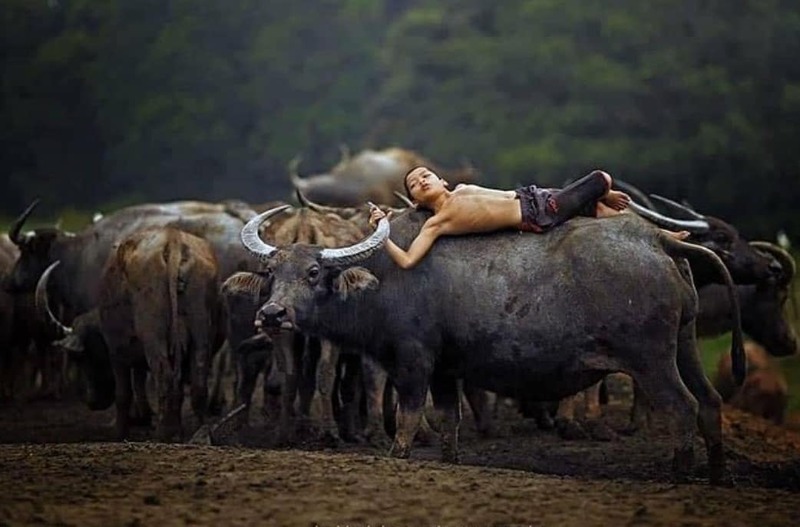 “The buffalo that is closest to me was Awang, and he was also the one who would accompany me the most in photoshoots, but he died,” he added. 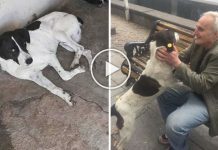 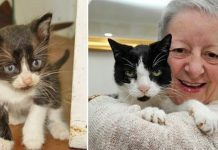 Thanks to the close bond he has with the animals, Mohd Syukur often attracts photographers from across the globe such as the United States of America and India since 2016.